Jonathon Edwards: A little bit Pop, a little bit Indie, a lotta’ Love! 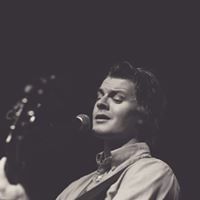 Rooted in Minneapolis MN, with a soulful, energetic sound and thoughtful lyrics, Jonathon Edwards tells a story through emotional and catchy songs. Come listen and have a great time!